We have just as much fun in Northport in winter as we do in summer. We proved that again this year when, despite cold temperatures, it looked like the entire town turned out for our annual celebration of winter. Be sure it's on your calendar every year -- President's Day weekend. 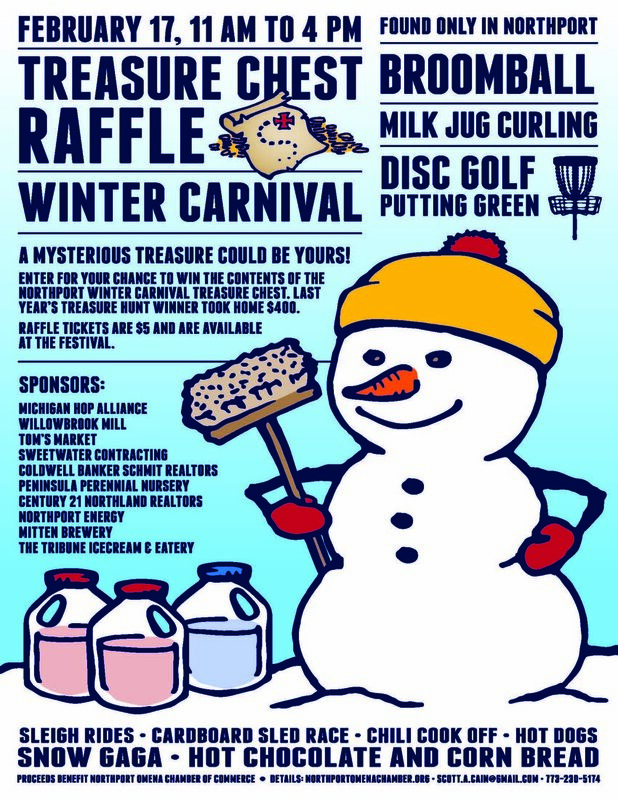 Join us for Milk Jug Curling, Broomball, a Chili Contest, Cardboard Sled Races and more. Full schedule below. Take M-22 to M-201 to Northport. Take Third Street to Melkild Road west of town and look for the signs for the Braman Hill Recreation Area. Schedule may fluctuated throughout the day! Please check in with the carnival MC to confirm event times. Thank you to our 2018 Winter Carnival sponsors!